The New Moon on Wednesday November 11, 2015 at 19° Scorpio, falls just within Scorpio decan 2. The New Moon astrology is the best in a long time, suggesting health, wealth and happiness. The major influence on new moon November 2015 is lucky Jupiter, by aspect and by stellar influence. Optimism and generosity increase the chance of success for any new projects started from this new moon. Any area of life can benefit from growth and prosperity, with a special focus on friends, love relationships and health. However, the impulsive and enthusiastic nature of a new moon means that not all new projects will succeed. The influence of a new moon last for four weeks up to the next new moon, in this case, the new moon on Friday 11 December 2015. The best time for making a fresh start and for beginning new projects is during the first two weeks of a new moon cycle. This waxing phase of the moon lasts from the November 11 new moon until the November 25 full moon. Even though the November 2015 new moon falls at 19°00′ Scorpio Sign, it is actually in the Libra Constellation. More importantly, the new moon lines up with the fixed star Zubeneschamali (19 ♏ 37), the Northern Scale, once called the Northern Claw of the Scorpion. 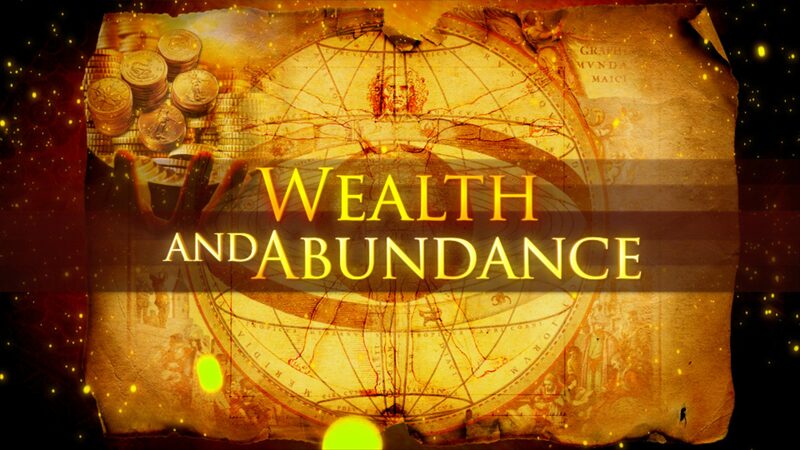 Having the planetary nature of Jupiter it is a very fortunate influence giving wealth, happiness and generosity. Being also of a Mercury nature, it gives a sharp mind and intellect, with a very powerful psychic quality. With both Sun and Moon being activated by this lucky star we can expect the good fortune to be felt in all areas of life. With the Moon in particular this star brings organizing ability, benefits through new and influential friends, valuable gifts, and love of respectable women. You can see in the New Moon November 2015 astrology chart below that the strongest aspect to the new moon is the sextile to Jupiter. Both the sextile aspect and Jupiter are fortunate, making this the luckiest moon phase of the year so far. Moon and Sun sextile Jupiter emphasize the fixed star themes of wealth, happiness and generosity. A new moon is generally a good time for starting new projects. This is especially so thanks to the fixed star and the Jupiter aspect. This is an ideal time to achieve your goals as there should be little or no resistance. Stating new projects will benefit from the growth and expansion of Jupiter. Making friends and starting new love relationships are already favored by the fixed star. Jupiter also favours any professional or career related projects, plus higher education, long distance travels and group activities. Sun conjunct Mercury and Moon conjunct Mercury are the next most important influences in the new moon horoscope. This adds to the organizing abilities and psychic talents of the fixed star influence. It greatly increases our ability to share thoughts and feelings, which of course should be optimistic and generous with Mercury sextile Jupiter. This is also a very sociable influence suggesting cooperation, encouragement, sharing and caring among friends and larger groups of people. A good new moon for asking for favors and studying for exams. Venus conjunct Mars is still strong enough to reinforce the theme of growth and happiness in love relationships. Creativity will benefit from this dynamic aspect. Venus sextile Saturn suggests long-term commitment like marriage is a possible manifestation of this new moon phase. A good new moon for popping the question. Asteroid Chiron opposite Asteroid Hygeia ties directly into the new moon as shown in the chart above. Chiron signifies health and healing among other things. but Hygeia applies directly to health and medicine. While both bodies can represent medical practitioners, Hygeia applies more to traditional doctors and surgeons while Chiron represent natural or alternative medicine. The new start represented by the new moon can now apply to becoming more healthy, starting new diets or exercise routines, or getting a check up. Jupiter conjunct asteroid Hygeia suggests focusing on those things that Hygeia represents will bring the best results. Personal, spiritual and physical growth should result from this new moon. Asteroid Hygeia Keywords: Health, hygiene, tradition and natural medicine, doctors and healers, disease, illness, toxins, fear of poison, fear of doctors, fear of medical results, hypochondria, hesitation to get checkups, operations, misdiagnosis, drug abuse, diet, worrying about the health of family and friends. My MC is 19 deg 48 Scorpio, POF at 17 degree 21 Scorpio, Mars at 22 deg Scorpio. I am a Taurus decan 2 (17 degree 21 sun). How do I use this new moon for the next whole year than just the next month. The forecast for next year is looking good too – but what do I need to do to make the most of it? Have been working for a really tough exam past 2 years, getting upto a point n not the full way.How do make the best use of this moon to succeed. Thanks for your forecasts – they tell it as it is , and are useful!! Thanks for the compliment Supa. I have found that Sun opposite POF is actually a good aspect in the natal chart. Why the whole year for the new moon? That only applies to a new moon on your birthday, not the opposition to Sun. The biggest test will be handing the aggressive and competitive Mars energy by focusing on your own work and own issues, not getting involved in ego conflicts. Your SUn Mars natal opposition is the big issue, with the new moon on Mars and opposite your Suns. A bit of Googling there on aspects and transits. Thank you Jamie- that’s useful advice and something to work on. I was thinking the new moon conjunction mc would help me work out new beginnings in my career… But I had forgotten the sun opposition aspect.. New perspectives to think from…Thanks again ! Really want to reach out to my Ex, to finally just talk and have at least one unfiltered sit down before the year is over (she’s a Libra Moon, Leo Sun), but I feel we both crossed that line of no return. Honestly torn on what to do. Libra Sun, Libra Moon, Leo Rising. Synastry is very complicated but you can find more if you know which decans you are. Rising decan applies to your partner, moon to women in general and your emotions. Sun is more generally about you and your life. that new moon is conjunct my natal Uranus 23 degrees Scorpio and trine natal Mercury 19 degrees Pisces.Surprising news in store ? Yes, good news too I would expect, also excellent intuition. Mercury trine Uranus. Oh well, much depends on how it affects your dcean which I mention in your monthly horoscope if it applies. I didn’t even notice it until now and it wasn’t planned, but I uploaded my first youtube video on the same day.